unable to give a coherent account of her own movements on that day. intellectually capable of committing them. increasingly uneasy about her behaviour. Eighteen-year-old Ayesha Verma disappears from her home in Spalding just a few days after her parents have introduced her to the cousin they’ve arranged for her to marry. There has been a nation-wide police campaign to raise awareness of ‘honour killings’. Conditioned by this, DI Tim Yates and Superintendent Thornton are convinced that Ayesha has been murdered for refusing the arranged marriage. Tim throws himself enthusiastically into preparations for a trip to India to interview the cousin. He first travels to London to visit his rather louche old friend, DI Derry Hacker, at the Met. Hacker introduces Tim to DC Nancy Chappell, an unconventional expert on honour killings. When Tim arrives at King’s Cross he thinks that he hears the voice of Peter Prance, a confidence trickster whom he last encountered when he was investigating the murder of Kathryn Sheppard several years before. He’s unable to follow the man because he’s suddenly taken ill.
Tim’s wife, Katrin, has just returned to work as a police researcher after the birth of their daughter Sophia. DC Juliet Armstrong, who is far from convinced that Tim is right about the reason for Ayesha’s disappearance, arranges for Katrin to meet Fi Vickers, a social worker who helps women to escape from forced marriages and violent male relatives. She hopes that Fi will introduce Katrin to some of the women in her care so that Katrin can build a picture of the likely circumstances of ‘honour killings’. Juliet herself is feeling aggrieved because she thinks her career is going nowhere. Tim and Superintendent Thornton have announced their intention to appoint a Detective Sergeant to the team, but Juliet is convinced that she won’t get the job. DI Hacker arranges dinner in a restaurant for Tim with a ‘surprise’ guest, who turns out to be Patti Gardner, the SOCO who was his girlfriend before he met Katrin. Derry is called away to a reported gangland beating shortly after they’ve begun to eat. Tim remains à deux with Patti, escorting her back to her hotel at the end of the evening. There he’s taken ill again, and is so incapacitated that he spends the night in Patti’s room. The victim of the gangland beating has been spirited away by the men who attacked him, but from Tim’s description Hacker is convinced he is Peter Prance. Katrin has received a visit earlier that evening from Margie Pocklington, a teenager working for her child-minder. Margie asks Katrin to employ her as a full-time nanny, and when she gets a cautious response flounces out of the house. Next morning, she fails to turn up for work. She has vanished. Juliet Armstrong is convinced that Ayesha’s and Margie’s disappearances are linked. She has begun to investigate when Tim returns to Spalding earlier than expected, with Nancy Chappell in tow. He puts her in charge of the investigation while he is in India. Sparks fly. It is a foggy day. Ruby Grummett, a railway crossing keeper, opens the gates for a council lorry, thinking that the Skegness train has been cancelled, but it comes looming through the mists and hits the lorry, which is flung into the air. The train is derailed, one man is killed and another seriously injured, and Ruby’s house is destroyed. Is Ruby to blame for the accident, or was it caused by the railway company’s failure to warn that the train was late? DI Yates visits Ruby in hospital in an attempt to find out. There he meets her husband Bob and daughters Kayleigh and Philippa. Kayleigh, short and squat like her mother, works in a local factory. Philippa, tall and very blonde, attends Boston Grammar School. Bob is shifty and seems to be hiding something from the police. Both his brother Ivan and Councillor Start, a prominent local man, are helping him. Meanwhile, the head teacher at Spalding High School is strangely unconcerned when a prowler is reported loitering outside the school; Andy Carstairs’ new girlfriend tells him about an obscure all-male club that is allowed to meet at the school at weekends; and Juliet Armstrong, who has renewed her friendship with Dr Louise Butler, reopens the case of a Finnish au pair who disappeared twenty years before. These miscellaneous events appear to be unconnected until the remains of a child are discovered. Then all hell breaks loose. Sausage Hall is home to millionaire Kevan de Vries, grandson of a Dutch immigrant farmer. De Vries has built up a huge farming and food packing empire which extends, via the banana trade, to the West Indies. Sleazy MD Tony Sentance persuades de Vries to branch out into the luxury holiday trade and De Vries and his wife, Joanna, take the first cruise out. But back home a break-in at Sausage Hall uncovers a gruesome historical discovery and soon DI Yates is called in as a young employee of de Vries is found dead in the woods at Sandringham. This third outing for DI Yates tackles the exploitation of African women in the nineteenth century and draws parallels with the exploitation of Eastern European women in the twenty-first. “When a break-in is discovered at the home of Kevan di Vries, owner of di Vries Industries, the police, noticing an open door to the cellar, soon discover five phony blank passports in the cellar. Before long, the passport mystery leads to the discovery of very old bones (belonging to three women) in the very same location. Elsewhere, the murders of two women occur, and the plot doth thicken! 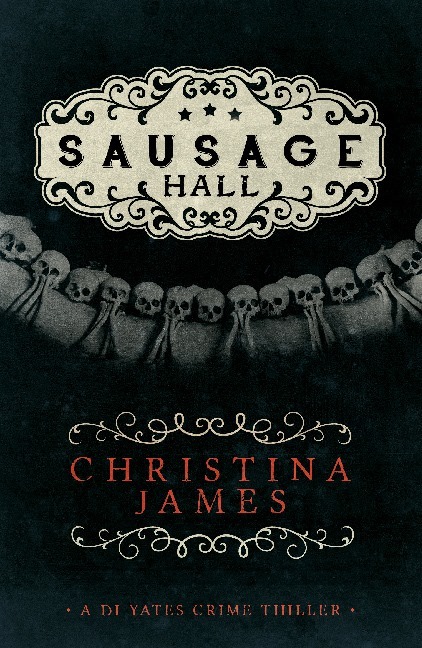 Sausage Hall is the handiwork of a gifted author. Christina James intricately plots an engaging mystery filled with a delectable assortment of characters, situations, and possibilities. Adeptly and seamlessly, this author moves from one scene to the next, heightening the suspense with impressive prose. Kevan di Vries speaks to the reader in the first person while the rest of the story is told in the third person. James executes these narratives brilliantly enabling the reader to establish an up-close-and-personal connection with di Vries, which is positively chilling at times. Guy Maichment, a landscape gardener, pays a late-night visit to his aunt, Dame Claudia McRae, the well-known veteran archaeologist who lives in an isolated cottage near Helpston, and sees that her front door is wide open. When he enters the house, he discovers that his aunt has vanished, leaving no clue about what has happened to her except a broad smear of blood on her hall wall. The Spalding Archaeological Society is holding its annual conference at the Welland Manor Hotel nearby. Alex Tarrant, its attractive Secretary, is about to embark upon an affair with Edmund Baker, the County Archaeologist. Edmund and Oliver Sparham, the County Heritage Officer, were both Dame Claudia’s protégés in their youth. Oliver visits her on the day of her disappearance, making him the last known person to see her alive. Detective Inspector Tim Yates is detailed by his boss to investigate, even though Helpston is outside the area normally served by South Lincolnshire police. He is frustrated at therefore being excluded from the pursuit of an organised drugs syndicate which employs young children as couriers. Detective Constable Juliet Armstrong delves into Dame Claudia’s past and discovers that some of her celebrated theories derive from questionable political opinions forged during the Second World War. Meanwhile Tom Tarrant, Alex’s social worker husband, tries to help two terrified young brothers who have been recruited by the drugs gang. DI Yates himself has personal problems: his normally cheerful and supportive wife, Katrin, is desperately unhappy, but won’t tell him why. “When a well-known elderly archaeologist goes missing under mysterious circumstances, Detective Inspector Tim Yates is called in to investigate. 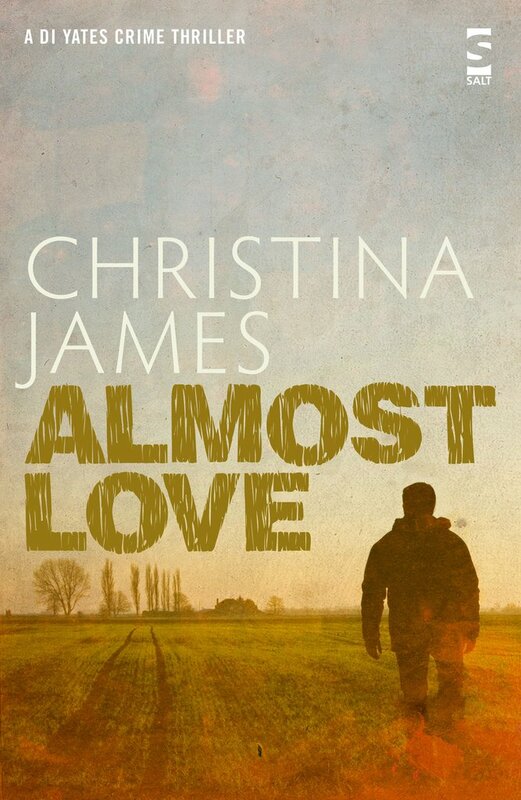 Almost Love is DI Tim Yates’s second outing and Christina James’s writing trademark is making itself known. A DI Yates novel is effectively two novels in one. The first a crime novel, steadily but relentlessly proceeding to its denouement, the second a study of personal inner landscapes. Appalling crimes and cruelty are committed offstage, but with just enough description to feed the reader’s imagination. These are run alongside studies in the frailties of the human condition that create an interesting tension to the plot. At no time is it possible to find a comfortable assessment of the lead character’s disposition, this time secretary Alex Tarrant, and even the villains of the piece make you search for the reasons behind their malevolent behaviour. No one is quite what they seem. Although a little worry is injected into Tim Yates’s life, he seems to be only slightly perturbed and the disquiet between Tim and his wife is frustratingly not fully explored. This, however, ties in with Christina James’s view that life is messy and in reality loose ends cannot always be conveniently tidied up. However, the reliable Detective Constable Juliet Armstrong, is taking a much more proactive and satisfying role, revealing herself to be someone able to make keen observations and astute decisions, rather than just a handy foil for her boss. Although both detectives seem to be little more than a vehicle to take the novel forward, by concentrating more on Alex Tarrant and the extramarital affair that leads the reader into the heart of the story, Christina James creates a refreshing story dynamic. The narrative of inner turmoil is not that of the detectives, but of the other characters integral to the crimes that are being committed, whether victims or villains. 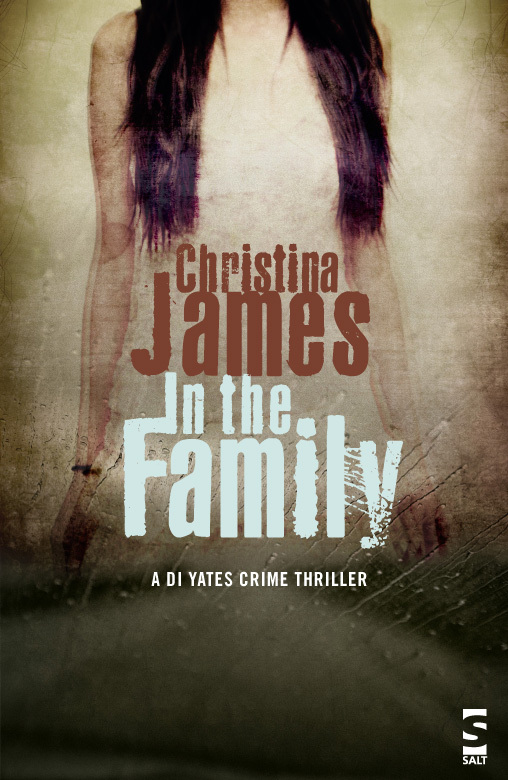 Once again Christina James has woven a modern day story into a setting that would not be out of place if it were transplanted into the 1950s, giving it an other worldly feel. The understated and quiet unease running though the core of the novel, gives the steady pace of the story a sense of urgency, without the reader feeling they need to rush (another delightful feature of Christina’s writing). “Never mind the title, this is about crime, or rather several crimes, and investigative detective work. 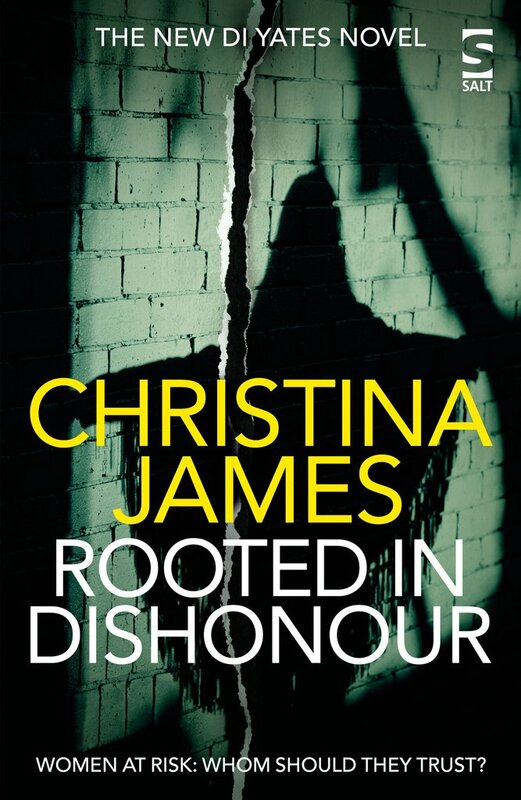 This is the first time I have read Christina James, who says on her website that she writes her books “to bring out the detective in you”, and Almost Love certainly does. There is depth to this novel, not simply the sense of place in England’s misty fenlands of East Anglia, and in the characters with their inner conflicts and uncertainties, but in the context – a local Archaeological Society containing more devious plotters with dark secrets than you could imagine. Fusty on the outside but all is definitely not what it seems. The plot revolves around the sudden disappearance of an eminent archaeologist – Dame Claudia McRae – who is not actually a member, and thereby hangs part of the tale. Dame Claudia is in her nineties, which allows the intrigue to span 60 years and include fascist plots, personal revenge and modern drug gangs as well as a bit of adultery on the side – an ingenious entanglement. What appealed to me particularly is that this is not just about a crime and a bunch of cops trying to work out `who done it’. An intricate web of connections crosses three generations – a whole `community’ of characters each with some role to play in events, either unwittingly or in wickedly determined fashion. You get the feeling of a story embedded in a real social and physical setting where life goes on…or is unexpectedly cut short. In the Family is the joint debut title of Salt’s crime list. The discovery of the skeleton of a young woman by workmen causes Detective Inspector Tim Yates to re-open the gruesome case of Dorothy Atkins, a woman who was imprisoned for murdering her mother-in-law, Doris Atkins, more than thirty years before. What is the link between the skeleton and Dorothy Atkins, now the aged inmate of a care home? Her former husband, Ronald, and her son, Hedley, each appears to have something to hide and both only grudgingly co-operate with the police. What happened to Bryony Atkins, Dorothy’s and Ronald’s daughter and why is everyone so reluctant to talk about her? Hedley Atkins has recently allowed a relatively new friend, Peter Prance, to move into his flat and he is introduced to Peter’s family in Liverpool. Is Peter simply a persuasive upper-class scrounger, or is there something more calculated in his relationship with Hedley? Did Dorothy in fact kill Doris Atkins, or was she wrongfully imprisoned, with the real killer still at large? How many murders have there been and how many killers are there? Detective Inspector Tim Yates and his team make their debut. “The first thing you notice about the book is how well written it is. It has the feel of literary fiction; there is a calm and reflective quality to the prose which makes interesting reading. The narrative moves between the third person detailing the police investigation and Hedley’s first person, and clearly biased, observations. Both worked well. I slightly preferred the Hedley narrative, mainly because the set-up is clearly odd and it made entertaining reading. The police investigation is also well described and there is plenty of mileage in the character of DI Tim Yates and his slightly adoring assistant, Juliet Armstrong. The clue to the essence of this book is in the title. It’s about the claustrophobia of families and the secrets contained within them. The book, for me, also had a strong ‘provincial’ feel. And I mean this in the best sense of the word. It was a book not about the metropolis but the lives of ordinary (or perhaps not) people in everyday surroundings. And it was nice to read something with such a strong sense of place. The book is published by Salt, a small but discerning publisher and I think this book is an asset to its list. I hope book two in the series, which is out in June, is as good as this one.” Sarah Ward Full review here. With a well-written and cleverly plotted story, and above all rich characterisation, this new piece of crime fiction is both believable and addictive from the start. A very promising debut indeed. Well plotted with interesting and very human characters. 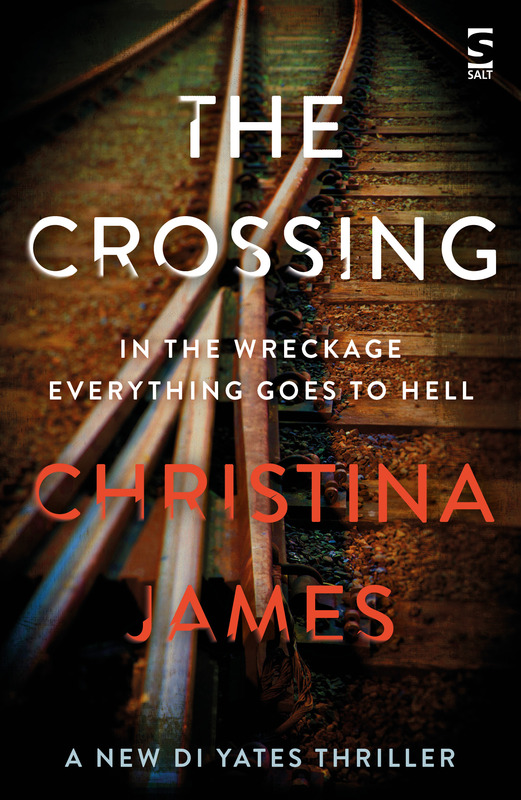 This crime novel from Christina James is a great read, I highly recommend it. Thank you very much indeed, Marika. I’m very pleased to hear your response and delighted that you enjoyed ‘In the Family’. Christina, you’re a very good writer. The mystery is good, but ultimately what sticks in my mind – as it should – are the people. They’re real, they’re flesh and blood. Can’t say you’re on your way to being an excellent writer as you’re already there. Christina, I have enjoyed In the Family immensely and have to say I am more than a bit impressed. I’m quite a fan of Deborah Crombie’s books and your style, although not like hers. has the same intrinsic humanity and thoughtfulness without the heaviness that Elizabeth George has developed over the years. I used to read a lot of crime fiction but found much of it so gory in its graphic descriptions that I was quite sickened, so I stopped reading them for quite a while. Deborah Crombie (whose books I have read for years), Donna Leon and now you, have given me back my taste. DI Yates and Juliet are likeable, believable and real. The Atkins family are actually rather tragic and without giving anything away, I felt terribly sorry for them all in the end. Thank you for a gripping and immensely stimulating read! Well, I’m pretty much speechless after reading this response to ‘In the Family’, Val. Your comment suggests very clearly the range and quality of your reading of crime fiction and to find myself compared to these authors so kindly and generously is more than a little flattering; that the commendation also comes from someone who has so much experience of writing and of literature in general makes it doubly potent to me. I should like you to know that this has given me enormous encouragement to carry on with an approach which I could not be sure would reach out to readers in these days of fast-paced, action-weighted and, as you say, graphically-gory narratives. I’m very grateful for your having taken the time and trouble to post this. You have, if you will forgive the cliché, made my day. Thank you very much indeed. In the Family is stunning. I adored the switch from third person to first person which gave me an unsettling feeling as I read. The real surprise for me was Hedley. He appears to be completely unreliable in his recounting of events, you just don’t believe him. The shock at the end of the story (no spoilers!) threw me off-balance. I did not expect such subtle twists and turns in a crime novel. In the Family is a unique book. It blends the genres of commercial and literary fiction. And I am in love with it. I cannot wait for the next installment of the D.I. Yates series. I await with as much anticipation as I did with Mantell’s Bring up the bodies! Lisa, I am very, very grateful indeed to have the pleasure and privilege of reading such a glowing comment. I am very honoured to be placed alongside Hilary Mantel, both in your judgement and literally on your bookshelf. You remarks are very thoughtful and considered and you have taken time and trouble to voice them here. Thank you so much. Just a quick comment (as if that’s possible for me) to say Almost Love was a really excellent and compelling crime novel. I can truly recommend it as the dénouement was more than a bit of a surprise, but very fitting all the same. Raced through both books in a weekend. Almost Love edged it for me – its great to see the regular characters develop, but there were also some well rounded additions. The strong sense of place was particularly effective given the contrasts, evoking strong memories, even down to the smell of fish and chips! Looking forward to the next. What a great book trailer. I very rarely read crime stories,like Val said above I find them too gory. However I’m really tempted by In The Family as I know want to know if that WLAN really did kill her mother in law. I can see your book appearing in my TBR list. Thank you, Anne! Alfie Barker @alfie_barker is very talented and a look at his website will give you a flavour. ‘Assumption’ and ‘No regrets’ typify his work; I know, however, that you will really enjoy ‘Witness’! 🙂 You can find all of them on You Tube by googling his name and the title. Thanks Christina I will check it out. Your books keep getting better Christina. Really enjoyed Sausage Hall. Fascinating characters and a thought-provoking examination of the human condition. Marika, it’s very kind of you to say so and I’m delighted that you found ‘Sausage Hall’ to your liking. Best wishes and thank you very much indeed! Just to add here now that I’ve read Sausage Hall. I will second Marika’s comment and say how gripped I was by Sausage Hall. The plot was fascinating and teasing, the characters interesting and intense and the complexity of the investigation of past and present crimes truly compelling. It kept me up far too late at night, but I’m already looking forward to the next one!